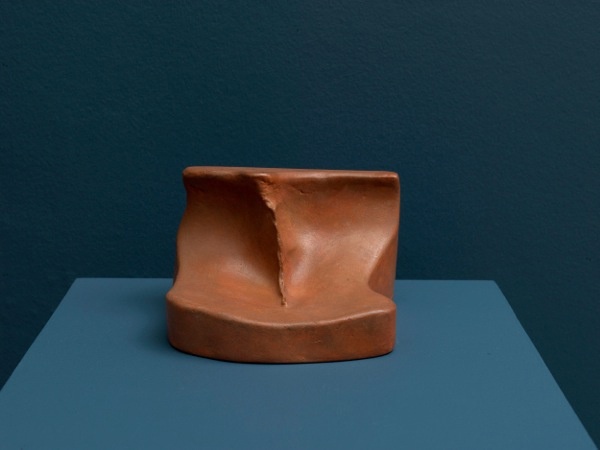 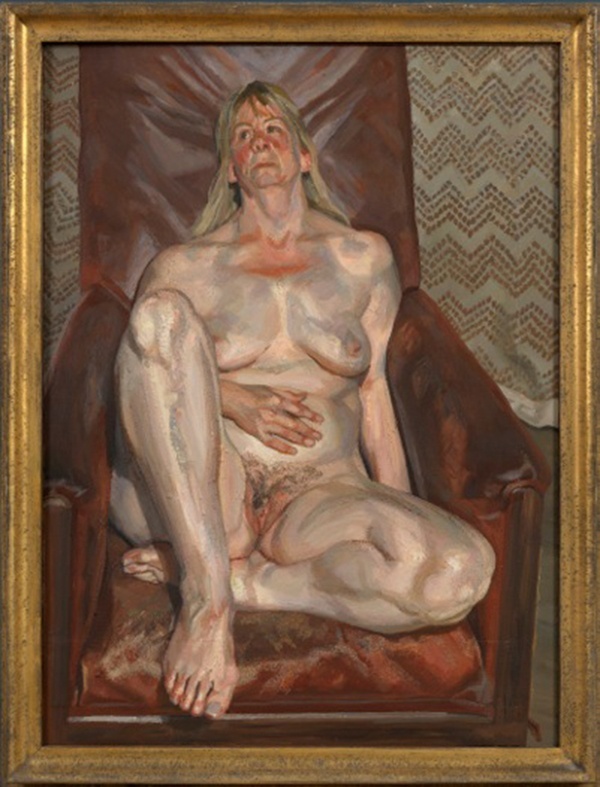 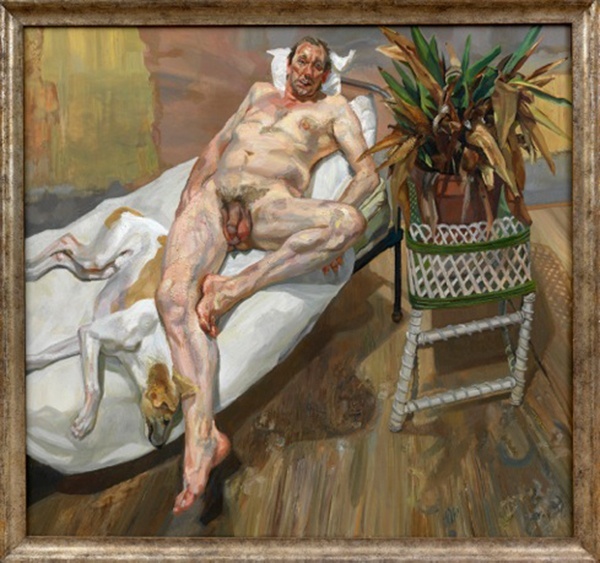 “A Not So Still Life” anatomises the compositions of Freud’s paintings, dissecting and mirroring their elements through juxtapositions with works by other great artists. 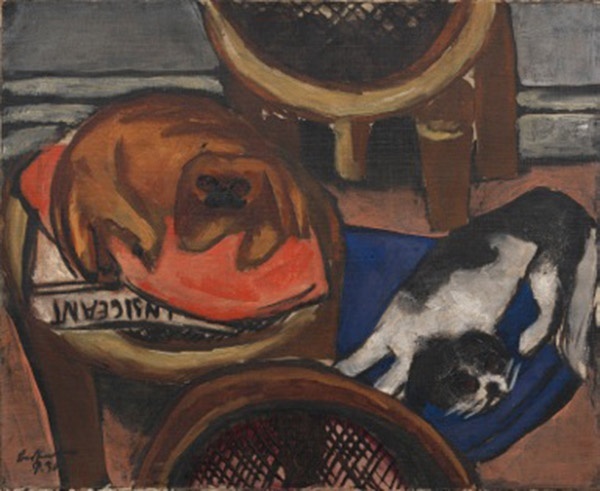 Marcel Duchamp’s 1951 sculpture Feuille de vigne femelle (Female Fig Leaf) relates to Freud’s frontal depiction of female genitalia; Max Beckmann’s 1930 painting Hunde (Dogs) echoes Freud’s work through its canine motifs and criss-crossing furniture; the German Neue Sachlichkeit artist Eugen Knaus’ Gummibaum (Rubberplant) (1931) corresponds through its depiction of foliage; and Otto Dix’s portrait Bildnis Jankel Adler (Portrait of Jankel Adler) (1926) seems to present a continuation of the wallpaper backdrop of Freud’s studio. 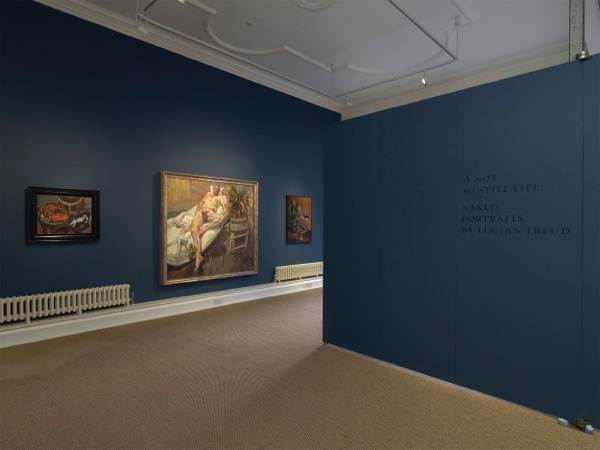 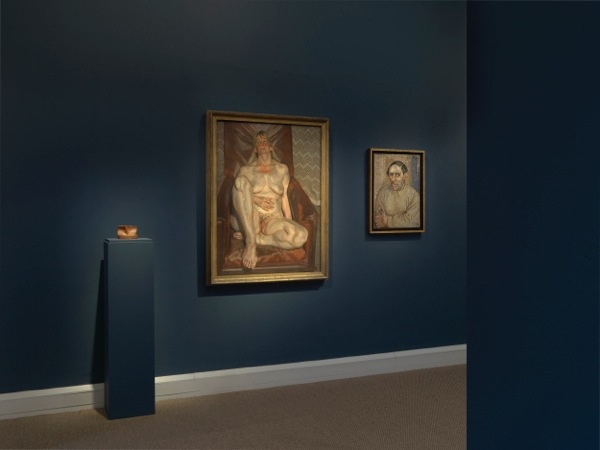 These works translate the gallery space into a mise-en-scène of Freud’s paintings, encouraging a rare dialogue between his work and that of other twentieth century artists, and ultimately highlighting the uniqueness of his vision.